A virtual championship with real ambitions gets under way on Tuesday as the National Basketball Association tips off its bid to gain a foothold in the burgeoning arena of eSports with the launch of its NBA 2K League. The league mirrors the NBA—with a regular season, playoffs and a draft presided over by commissioner Adam Silver, where top franchises vie to secure the stars of tomorrow. 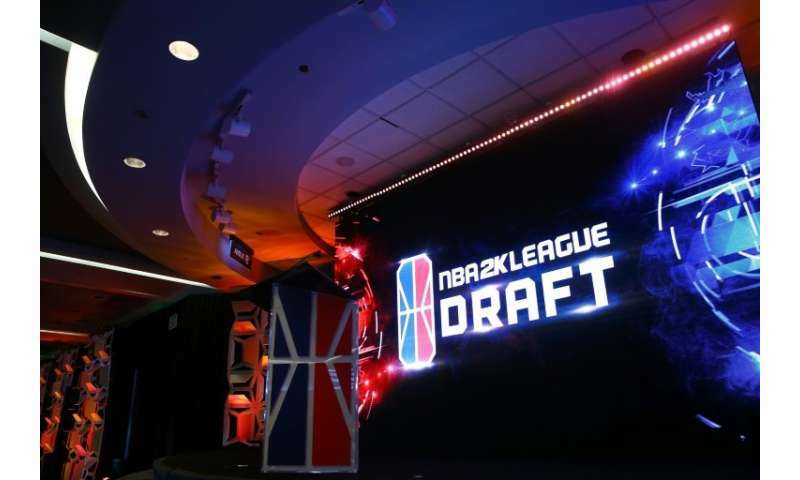 Speaking at the new league's draft in April, NBA commissioner Silver said the new eSports venture was now part of the league's family, enthusiastically lauding the skills and dedication of its players. "From the NBA's standpoint, this is our fourth league. We have the NBA, the WNBA, the G-League and now this is the fourth league in our family, and that's exactly as we're treating it," Silver said. "What's so exciting today is we'll be welcoming a new generation of athletes, of NBA players, into this league,"
"It's a different set of physical skills certainly, but to watch these gamers/athletes compete, what I've read about their training regimens they go through, it's incredibly hard work." Silver, a former lawyer who has been widely praised for his leadership of the NBA since taking over in 2014, was impressed by the potential of eSports after seeing 22,000 fans flock to Madison Square Garden in August 2015 for the North American League of Legends Championship final, the pinnacle of eSports. The league arose following ongoing discussions between Silver and NBA 2K video game publisher Take-Two Interactive. While not every team has entered a franchise in the inaugural season, those who are participating have said the decision was a no-brainer. "It was an easy decision to make," Jason Wexler, president of business operations with the Memphis Grizzlies, told AFP. "It's a good way to start to understand the eSport base a little bit better. It's not a gimmick, it is a very real sport. It's better to figure out how to come onboard now, rather than wait." With their virtual championship taking place in a studio in New York, which will be broadcast on the Twitch gaming platform, NBA officials say they hope to engage three types of audience—the millions of gamers who play NBA 2K around the world, the estimated 1.5 billion fans of the NBA, and a further 200 million or so estimated eSports enthusiasts. Brendan Donohue, managing director of the NBA 2K League, said the league's launch reflects the pull of eSports. "We saw eSport just exploding," Donohue told AFP. "Over the last three years it has doubled in size. Experts say it is likely to again double in size in the next three years." To select the league's players, an open casting was held among all those who have won at least 50 games on NBA 2K's difficult Pro-Am setting. That process produced 72,000 hopefuls, whose skills were evaluated virtually and remotely by playing 40 matches at a specific position and with a profile and physical capabilities predefined by the game designer. Eventually 102 mostly American players were selected, entering a draft which then decided the make-up of the 17 teams. Lang Whitaker, the general manager of Memphis's eSport team—"Grizz Gaming"—said teaching players used to competing in isolation to be part of a team was a particular focus. "Most of these guys are pretty much used to playing the game the whole day. They are used to putting in a huge amount of time," Whitaker said. "They haven't been in the same room playing togther. That's our focus, discussing strategy. They are the very best of the game. They just need to get used to playing together."